BCNMediaLab BCNMediaLab - El periodismo debe reinventarse. The journalists we are getting use to aceppt precarious jobs. Many hours and hard work for little pay and conditions that do not value our knowledge either our experience. The lattest has been one company that paid € 0.75 per text of 800 characters (not even spaces, as usual asked). A price that is not only insufficient but is clearly an insult. 800 characters are not double what you’ve been reading. But the job also demand for knowledge of search engine optimization, internet writing, writing and structure. More over the author may be penalized if the text did not like or was not creative enough. He was not going to get paid if he did not write – and be approved “lucky” 10 editors who passed the selection – about 400 texts. 300 euros for it, likely to be rejected. A colleague from Seville, Azahara Cano, “was selected” and she said no. She first reported on Linkedin and then on Twitter. The Press Association of Madrid (APM) supported her using the hashtag #gratisnotrabajo. 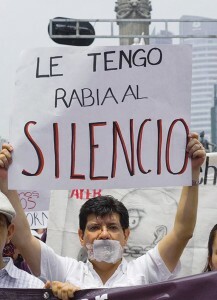 And like them, many, many colleagues who have turned the slogan into a cry of dignity. We, as BCN Media Lab, also endorse and support. 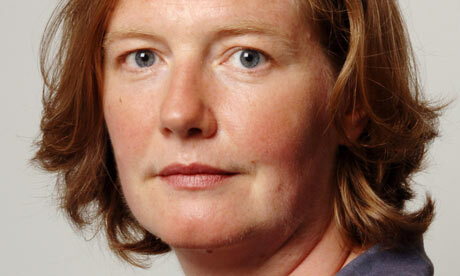 We support her and many journalists who suffer unacceptable, humiliating work conditions. So many freelancing and false selfemployed workers, the weakest parts in the chain, who they get much less than what they were paid a while ago with the excuse of the crisis. And no chance to reply or complain. Or those who are required to work for free to keep his job or be indefinitely delayed payment. All are situated on the verge of labor and social degradation. Journalists are necessary in a democratic society because a free and independent journalism is a guarantee of transparency. And we deserve More respect. Stop job offers that do not recognize our work and our craft. Stop to take advantage of the need of people. In order that you may have access to discussions and meetings more easily, we have made audio files of BCNMediaLab recent events. We have created an account on the website Ivoox so you can download the audio and listen on your MP3 player like a radio program. If you’ve missed some discussion, it is a good way to recover in addition to the videos. So enjoy! Mark Porter is the former Creative Director of The Guardian, and responsible of the 2005 redesign, one of the more important redesign projects in newspapers of the last decade. Mark works now as an independent editorial design consultant in London. The physical qualities of the printed object will ensure that print continues to be valued in the future. Reading a printed magazine or newspaper is a tactile, immersive experience of a different order to anything the digital world can offer. But the speed, convenience and interactivity of digital mean that print can not compete as a mass communication medium. I expect print to become a niche, with enhanced production values, concentrating on long-form journalism and high-end imagery. For newspapers, this means publishing less frequently, with higher quality, and charging more. There will always be an audience that takes pleasure in print, but it will be an increasingly small one. Printed newspapers and magazines will have to become luxury products in order to survive. 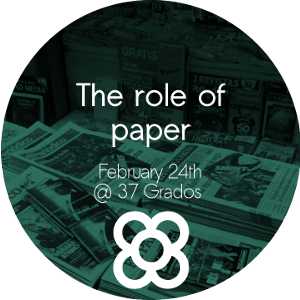 In february 24th, the BCNMedialab will host a meeting around the future of print media. Join here. After the long Christmas break we return to the meetings of BCNMediaLab. After having talked about social networking and entrepeurship jornalism, we look at the future of the print. We wonder: how will look like newspapers and magazines in the future? What will your their role in the new information ecosystem dominated by over-information, real time and ubiquity? Will be February 24, at 37 grados. We invited people from the magazine Barcelonés and Madriz, the consultant and journalist Toni Piqué and José Sanclemente, who will help us to try to imagine the future of media and its new role in the digital context. Everyone who has attended a journalism event in Spain or who has followed the development of new journalism forms in Spain will know about the role of Pau Llop and his partners. First in Bottup, the first citizen journalism website in spanish, launched in 2007. And then also in Nxtmedia, the project where they apply the experience and know how acquired through Bottup to other projects. Through both brands they make a persistent defense of the non for profit model for journalism. Which was the biggest obstacle you have found with your projects? Working and trying to maintain a non for profit project without investments or subsidies of any kind in almost 4 years of activity. Right now our main concern is to get the entities with means to invest in technology and knowledge to meet with us and listen to our proposal for the near future. Though we will still be non for profit, it’ll not be loss-making. We think it’s a very innovative proposal and has a medium term capacity for self-subsistence. What would you recommend to a journalist thinking about to become also an entrepeneur? Years to profit: Bottup is a non for profit project. It usually doesn’t carry advertising, and when it does, it’s for free. 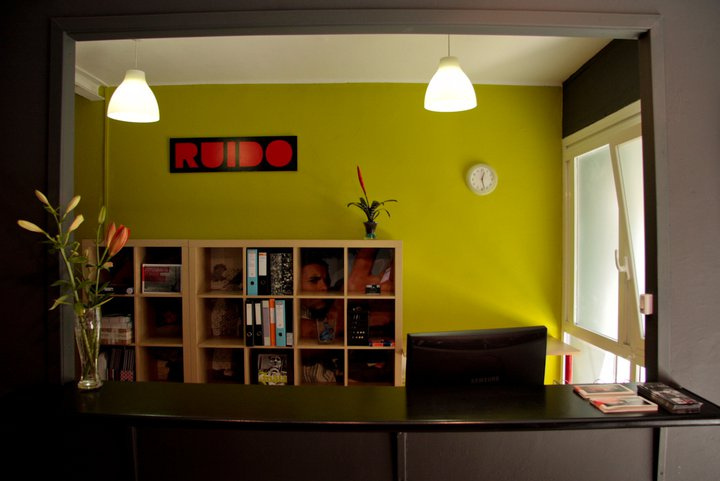 Nxtmedia was able to recover the initial 3.000€ investment after 8 meses. Staff at launch: 3 journalists. Staff today: 3 journalists, 1 developer y 1 designer. Next steps: Modify our legal status to reflect better our non for profit approach in Nxtmedia. After that, draft a plan of technological development and economic sustainability. Open Bottup even more, transform it into a distributed and scalable tool (rather than a news site). Research and documentation, as photojournalism reports, some of them published in news outlets like Periodismo Humano. Community enhancement actions, like this project of collaborative photograhy in the Congost neighbourhood. Editing and publishing the digital documentary photography magazine 7.7. Although they are a non for profit association, and don’t have an entrepeneur mindset, photographer and member of the collective Toni Arnau says that “the main and constant obstacle is the search for funds to guarantee the life of the project”. Toni recommends to other journalists to “not create big working teams, start small and build from there”, and leave the search for funds, both from private and public sector, to a professional. Start up costs: almost 0€ (hosting and domain). At the beginning they worked on the project as volunteers. Years to profit: The project is not for profit, but financing, mainly subsidies from public institutions, covers all expenses and wages. Staff at the beginning: 12. Next steps: Keep promoting 7.7 locally and globally and redesign the website from scratch. There are also plans to start producing events related to journalism and documentary photography. Anversal is a newspaper and editorial design firm, founded in April 2009 by Olga Lamas, Víctor Gil and Teresa Domingo. 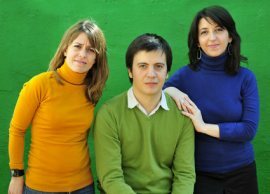 The three of them are journalists, and worked together at the studio Cases i Associats for 10 years on all kinds of editorial projects before founding their own firm. One of their latest projects was the design of the newspaper Ara, but they have worked as well on the re-design of the portuguese newspaper Destake and other editorial and content planning projects for Time Out. Víctor Gil used to work as an art director in the romanian newspaper Adevarul and the sunday edition of The Independent before founding his own firm. He says that the current economic situation “hasn’t been an obstacle for our company, beyond the usual: lower budgets and delayed payments”. Víctor insists to new entrepeneurs in the importance of communication and having a carefully nurtured contact network of potential clients. Staff at launch and today: 3. There´s a high chance that more than one of the 5.000 or so journalists unemployed in Spain has thought the same question: can I set up my own media business? Some of them might already have some projects in mind, ideas for news media start-ups, micro-media or one-person-media ventures… you name it. But that´s not the point. As always, one question leads to another: who´s paying the bill? Are there any investors ready to fund new media projects in paper, online, or on whatever format they are? History tells this is a hard one. To understand what a real investor, a professional one, thinks about this, I asked Luis Martín Cabiedes. No need for introduction, I think, but just in case: Cabiedes belongs to the family owner of Europa Press, firm in which he´s an advisor, and he´s also one of the most well-regarded business angel in the Spanish Internet sector. If this doesn´t tell you much, names such us Ole, Privalia, Rockola, Bubok or Trovit will tell the rest. He´s investor in all of these start-ups. Question: Would you invest in a news media project? Answer: The honest answer is no. And the reason is simple: content has not yet found a business model in the Internet. More than 15 years of history show that content has always been a bad business in the Internet and for an investor to put money on the table, you have to convince him first that there´s a business model behind. Having said that, I do believe there is a place for journalist-entrepreneurs. There´s a place for specialized online publications that can end up being a good one-man company or 3-4 employee viable firm. Those are what we call viable projects, but not investable, so not scalable and without any possibility of being sold. A. A professional investor always looks for start-ups that could end up with 10 to 12 million euros revenue in three or four years. A project about online content just doesn´t have that profile. Moreover, an investor is never going to buy something that doesn´t know who to sell it to later. Nowadays, the ones that could potentially buy those projects, the traditional media companies, just can´t do it because they are having a really hard time. Q. No one is willing to pay for news online. The way out doesn´t seem to go that way, does it? A. When we buy a newspaper, we don´t pay for the news, we pay for the paper. We have never paid for the news but for the platform, not for the content. The same happens in the music industry, we used to pay for a CD, not for the music. The Internet is not a platform, is the disappearance of the platform, and if the platform disappears you can´t continue charging for the same you were selling before. The problem is that online ads have a limit, they can´t support everything. Q. So what would it work in the Internet: a combination of high quality content, analysis, together with the new platforms like tablets or smartphones? A. I don´t think the solution is in the new platforms. There´s little paid content in the iPhone or the iPad, where the free of charge model of the Internet has won too. As consumers we are happy with that, it´s a feast; as companies, is a challenge. The ones who are losing out money are the media firms. Q. What advice would you give to a journalist-entrepreneur wannabe? A. The bad news is for the news media businesses, not for journalists. It´s the same as in the music industry, the problem is for the labels, not for the musicians. Journalists, the same as musicians, will have to do gigs. And I don´t mean it in a negative way, there are good opportunities there. There won´t be news media firms where to work, or it´ll be really hard. That´s why the best they can do is to find their niche, look for readers, become strong there, write content that people want to read, which is what this was always about, and keep the project to 4 or 5 employees. The same as a music band. Q. And what about large traditional media, will they be able to profit from their online presence in the future? A. No media organization, be it a TV or a newspaper, will ever make as much money as they were making before. It´s over. And the online content will never generate more than 10% of the advertising business of the old model. It won´t be enough. It´s naïve to think that the Internet and the iPad will keep them afloat. They´ll have to look for new business models. FronteraD was launched one year ago. This online media project diferentiates itself from the rest by refusing to compete in the daily race. Instead FronteraD publishes new content weekly, focusing on quality and topics away from the usual mainstream media coverage. Two of their features have been awarded recently. The initial project was a paper magazine, but after 6 years of planning they decided to focus their efforts on the online version, which was ready in just a year. Besides advertising, revenue comes through donations from readers, a model very much like Periodismo Humano, a similar project. Jose Luís Toledano, Managing Director of FronteraD, thinks that a journalist that is thinking of becoming an entrepeneur should “invest time and effort in an appropiate content management system, look for a good financial partner, have luck, don’t give up. And guarantee the economic survival of the project for at least 2 years before taking it to the market”. Years of planning: 6 when the project was a paper magazine with online version. When it was reduced to just an online magazine, 1 year. Years to profit: 3 (planned in 2012). Staff at launch: 6 plus freelance collaborators. Staff today: 4 plus freelance collaborators. Next step: Keep improving fronterad.com and launch a paper magazine.